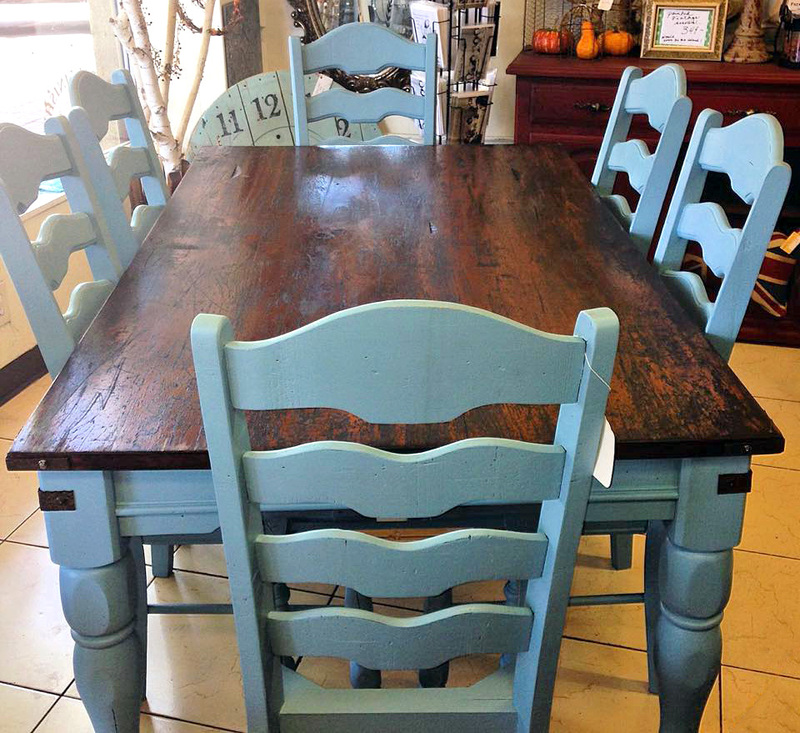 Stunning French country farmhouse table transformation by Jenny from Rustic Roots_! She used Halcyon Blue Milk Paint sealed with new Flat Out Flat Top Coat, then she restyled the top with Java Gel Stain! She shared, "Thought you might like this French Country farm table I got a lot of hits for it. I painted it with Halcyon Blue, FOF sealer for the base and chairs. I roughed up the top of the table and let the sun bleach it out a bit than I lightly sanded it and rubbed a tiny bit of Java over and let the worn honey color come through."